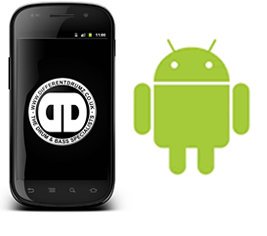 Listen to Different Drumz D&B Radio on the move using our free drum and bass mobile app for Android providing a 24/7 stream of the best fresh D&B directly to your mobile phone at the click of a button! Below is the download link for The Official Different Drumz DnB Radio App for Android in Google Play and the direct file download link. Compatibility: Requires android 2.2 or above. Compatible with all major android smart phones, tablets and devices.